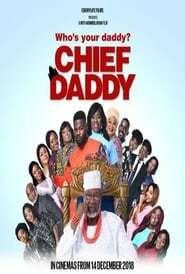 ‘Chief Daddy’ tells the story of billionaire industrialist Chief Beecroft, a flamboyant benefactor to a large extended family of relatives, household staff and assorted mistresses. Chief lives large, like there’s no tomorrow, until the day he dies suddenly and the ‘bullion van’ stops. What’s in his will and who gets all that money? What happens next will surprise you, as Chief Daddy has the last laugh from beyond the grave.